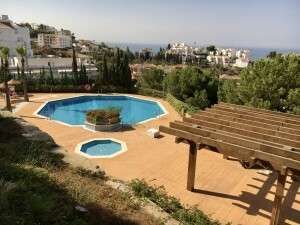 Very nice villa 5 minutes drive of Mijas pueblo village with panoramic views to the Mediterranean sea. 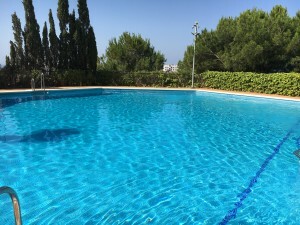 The villa is situated in a cul de sac street, in a very quiet and relaxing surrounding. 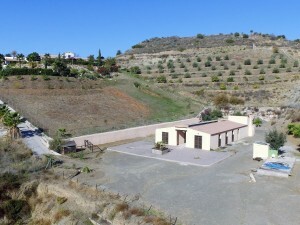 The Urbanization is called Rosa de Piedras in Valtocado and only has 27 villas. The house is on two floor, the ground floor has 2 bedrooms, 1 bathroom, toilet room, lounge, store room and kitchen and 2 garages. On the first floor there is kitchen, 2 bedrooms, 1 bathroom, toilet room, office, large dinning and lounge area and terrace. The house is 25 years old and is in immaculate conditions. The views are impressive. If you want a spacious family house to live or come on holidays away from the coast in a quite area, then i recommend you come to visit that property.